ALI'I NUI ALSO KNOWN AS OTIS. OTIS IS OUR XL BLUE STUD OUT OF DA GENERAL AND KEALA. OTIS IS A HIGHLY DRIVEN MALE THAT STRIVES FOR THE BEST AT EVERYTHING. 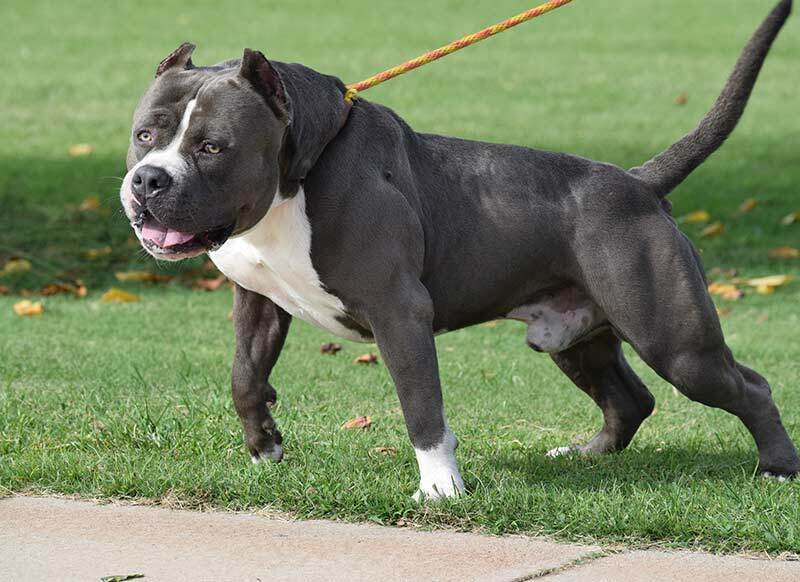 HE IS NATURALLY BUILT LIKE A TANK TO COMPETE WITH ALL OTHER BEAUTIFUL BLUES IN THE PITBULL AMERICAN BULLY WORLD. OTIS IS CLOSED TO THE PUBLIC FOR STUD SERVICES AS HE WILL BE ONLY BRED TO OUR FEMALES. OTIS LOVES TRUCK RIDES AND THE OCEAN. HE IS OBEDIENT AND LOVING TO ALL THE KEIKI HE MEETS. HE MAY BE INTIMIDATING TO LOOK AT BUT IS ONE OF THE MOST LOVING DOGS YOU MEET.